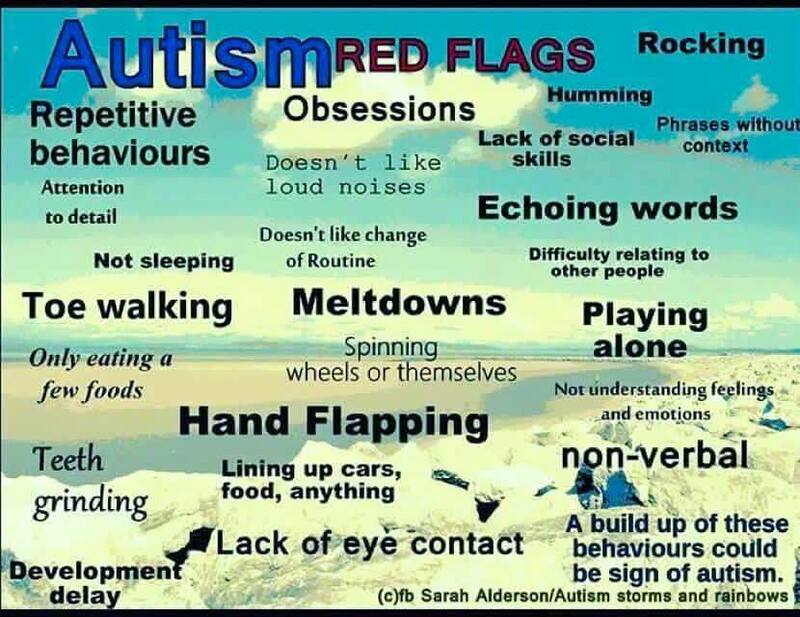 I just came across this photo on the Facebook page Autism Storms and Rainbows (https://www.facebook.com/Autism-Storms-and-Rainbows-152663228214371/timeline/?hc_location=ufi) and thought I would share. This is a great visual! What were the first red flags that you noticed? ← 2 Shirts Have Sold!